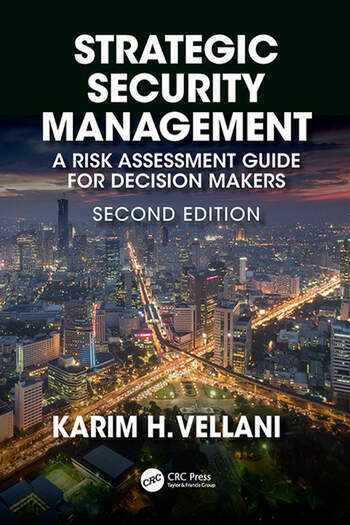 Strategic Security Management, Second Edition provides security leadership and decision-makers with a fresh perspective on threat, vulnerability, and risk assessment. The book offers a framework to look at applying security analysis and theory into practice for effective security program, implementation, management and evaluation. Chapters examine metric-based security resource allocation of countermeasures, including security procedures, utilization of personnel, and electronic measures. The new edition is fully updated to reflect the latest industry best-practices and includes contributions from security industry leaders—based on their years of professional experience—including: Nick Vellani, Michael Silva, Kenneth Wheatley, Robert Emery, Michael Haggard. Strategic Security Management, Second Edition will be a welcome addition to the security literature for all security professionals, security managers, and criminal justice students interested in understanding foundational security principles and their application. Karim H. Vellani is the President of Threat Analysis Group, LLC, an independent security consulting firm. Karim is Board Certified in Security Management (CPP) and a Board-Certified Security Consultant (CSC). Karim has more than 25 years of security management, crime analysis, and forensic security consulting experience, and holds a master’s degree in Criminal Justice Management. He is the author of this book and Applied Crime Analysis and has contributed to many other security related books and journals.